Players at all levels can work on improving their game all year long, regardless of the weather, in our indoor golf facility. Instruction provided at Golf Science Center is built on years of study of the Golf Swing. 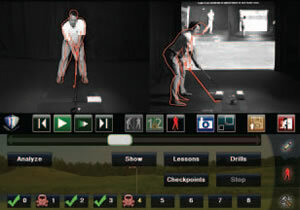 The Golf Science Center Instruction philosophy focuses on the individual golfer. We follow a four step process to develop an instruction plan based on player ability, player goals, and player advancement. Obviously a golf instruction plan will be different for a beginner golfer than for an advanced player. For a beginner golfer we will initially discuss your goals and knowledge of golf. 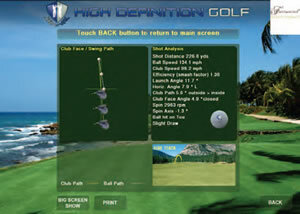 We will assess you ability by observing your swing mechanics in the HD golf simulator. We will then discuss an instructional plan with you and evaluate your progress over time. Depending upon your progress we will alter the golf plan to assure you are learning at the correct pace for your ability. For the more advance player we will discuss your golf experience and the part of your golf game you want to improve. We will evaluate your swing mechanics in the HD golf simulator and provide recommendations and instruction targeted towards your desired swing improvement. To schedule a lesson please call (215) 279-7835.